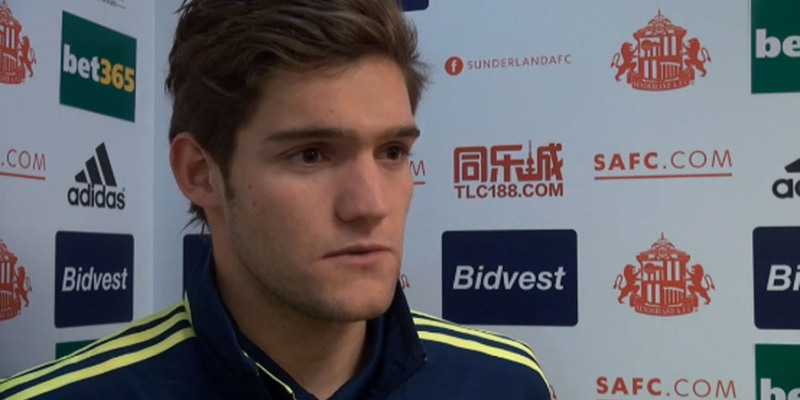 Marcos Alonso paid tribute to former Wanderers team-mate Gary Cahill as he officially joined Chelsea this Monday. The England centre-half leaves Wanderers on good terms after being a star player for the club the last few years. ‘Gaz was a fantastic player for this club and is one of the best defenders in the Premier League. He was a great lad to have around the club but we wish him all the best in London. He is a class act and I am sure will play a big role for England in the summer at 2012.’ Said Marcos. ‘I have returned to England after an operation in Spain, I am working hard to be back for the team. This week I have started back in the gym. The last three days I have been working in the pool and I feel I am making a big improvement. Today is four weeks after surgery, I will keep you all posted on my twitter and on here as the next couple of weeks are very important to see when I will be back playing.’ The young Spaniard said. Bolton host Liverpool in an evening kick-off on Saturday and then Arsenal on the following Wednesday. Off the field, Marcos beat Chris Eagles 3-0 on the new FIFA12 before losing in the final to Gary Cahill in the new FIFA12 computer game in the EA Sports FIFA 12 Pro Player Tournament at Bolton’s training ground. You can see a video from the tournament on here and there are a couple of photographs on the off the field page.